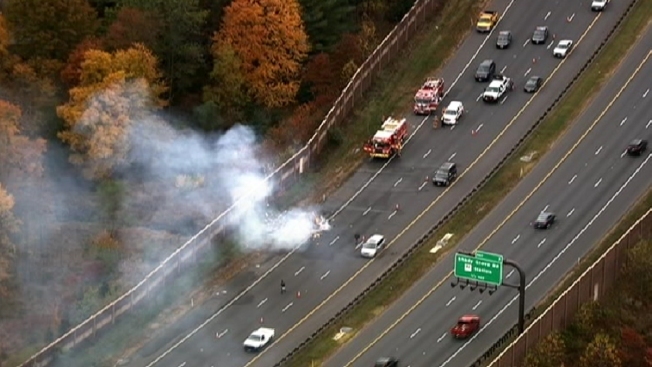 The Intercounty Connector freeway was partially closed for hours Thursday afternoon after a garbage truck dropped a load of burning trash. All eastbound lanes of the ICC were initially closed in the aftermath of the incident. Montgomery County Fire & Rescue was alerted to the situation about 2:40 p.m. The truck was traveling on the ICC when the driver saw smoke, stopped the truck and dumped out the garbage in the right eastbound lane. The affected area was between the Shady Grove Metro access road and Georgia Avenue. Drivers were advised to expect delays. All lanes had reopened by 5:25 p.m.